“Keema”, this word brings in all the non-vegetarian tastes to the mind but have you ever thought of something vegetarian keema? 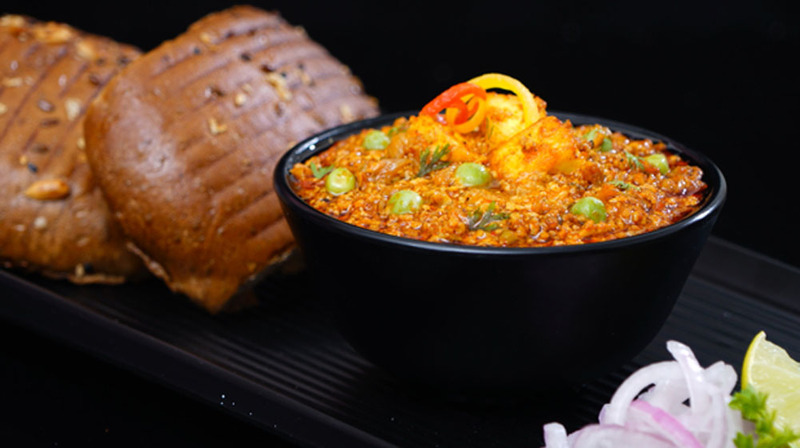 Bhushan Kulkarni & Anil Gujar, Directors, Fortune Gourmet Kitchens LLP started with The Keema, which not only specializes in offering non-vegetarian keema but also vegetarian keema. The peculiar thing about this special keema from “The Keema” is that both taste the same. So Keema lovers can go have the mouthful taste of keemas. The benefit of years of experience cannot be achieved overnight, thus the elders always suggest younger ones in the family to take up notes from the experience. The first point to consider in order to sustain is to stand apart from the crowd. The crowd wants new products. Take for example our “The Keema” brand is successful because there is no competition in this particular product sector. Nowadays customers have become really selective. They want the ethnic and authentic taste, money being no matter. This is our first USP as to why our brand will not fail. The second reason for failure is that the restaurant model is very much labor oriented. You have to depend on a lot of skilled workers. Whereas we only require 2 unskilled workers since everything is readymade, we are basically a chef-less and kitchenless restaurant. Thirdly, wastage is a big problem in the industry. Here in our case, the shelf life of our product is 1 year leading to absolutely zero wastage. Most importantly, our software is Cloud-based and all the outlets are connected to the main plant. So the franchisor does not need to place the order, thereby eliminating chances of miscommunication. These are our USPs and why we will not fail and be successful. We have already been in the franchising and restaurant industry for over 20 years, and the reason for succeeding is that we continued to adopt time to time. to be honest, on the very first go, it seems really spectacular and unique startup. keema has always been a major kink for non-veggie but for veggie who are often sidelined of these delicacies, it truly caters attention. the chef-less and kitchen-less augurs well for new commuters in this franchise world. i am really interested to have a go but eagerly wants to know if it can all turn up in a city like patna and what other conditions i need to consider?